Welcome to the ever-growing Kia family! You have actually selected to become part of one of the world’s highly regarded motor vehicle organizations, and we’re delighted to have you. Now it’s time to figure out between buying or leasing your new vehicle. This needs to be addressed carefully and with great consideration, as the options can be complex, and we want to help you make a perfect choice. Should I Lease or Buy A Kia? Buying and Leasing are two entirely unique approaches to obtaining your new car, and you should analyze a variety of factors before making your choice. Consider your vehicle usage in the future – will your commute be the same in five years as it is now? Throughout our lives, where, when and how we use our car evolves. Families grow and change, or we may even be adding additional drivers to the registration. All of this must be taken into consideration when deciding between Kia leasing or buying, so plan carefully. How you handle your warranty and its restrictions can greatly affect the resale or trade-in value, and even if you qualify for new leases. Top-of-the-line and luxurious brands of cars don’t exclusively deserve to be brought into an authorized manufacturer or dealer service center. Depending on the terms of your lease, the moment your vehicle is serviced by anyone other than a certified and registered brand technician, you may be voiding your contract. Whether you perform the maintenance yourself or take it into your local service center when leasing you must review the terms carefully. Ensuring that you adhere to the stipulations of that contract dictate if you can continue to lease, or if perhaps you might consider becoming a full-on buyer. 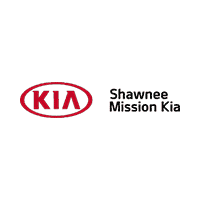 Before stepping into our Shawnee Mission Kia dealership and speaking with one of our certified agents, make sure that you do your homework and come prepared with a list of questions so that you and your friends at Shawnee Mission Kia can get you on the road as soon as possible! At Shawnee Mission Kia We have The Power to Surprise.